The most popular item we sell, by miles, is Kalles Kaviar - a creamed cod roe spread from Sweden. Yes, we know - it doesn't sound so fancy to the person who hasn't tasted it. We are aware of this. But 9 million Swedes can't be wrong. Oh, and Norwegians enjoy cod roe too... And all the other people in the world who are now addicted. If you want to try it, we suggest adding it to your breakfast, as is the place you most often see Kalle's Kaviar in Scandinavia (The Norwegian brand of same product is called Mill's Kaviar, in case you were wondering). Option 2: A bit fancier. 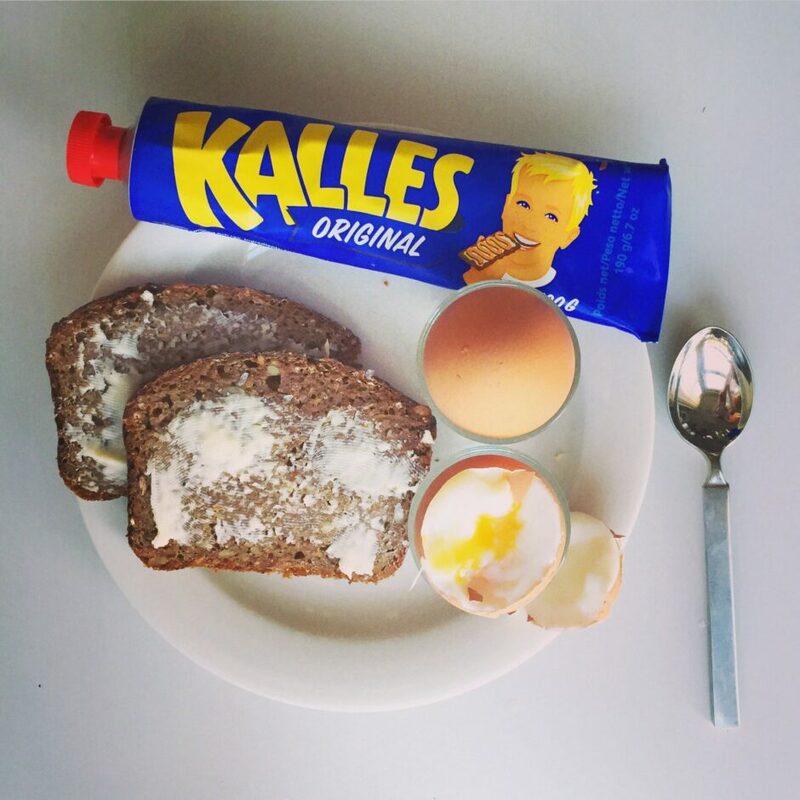 Crispbread, butter, sliced hardboiled egg, a neat squirt of kalle's Kaviar. Done. This is by far the most Swedish way to enjoy it. Utterly delicious. Highly recommend Leksands Crispbread for this. Toasted sourdough bread, smashed avocado, poached egg, squirt of Kalle's Kaviar. Optional dill. Fancier, requires a bit of prep - but really lovely. Dark, seeded rye bread, butter. Two boiled eggs, Kalles Kaviar squeezed out onto every bite of the egg. Very traditional - and the dark rye bread is super good for you. Keep your Kalle’s Kaviar in the fridge both before and after opening.